Wow, day 1 is barely over, and I already feel like I’ve proven that organization is key when it comes to budgeting! I spent almost an hour this morning figuring out what we had on hand (too many greens), what meals I could make with those items, and what exactly I needed to buy. The days of going to the store with a partial grocery list are definitely over, but we did end up with some tasty lasagna tonight as a result. More on that later though, first things first…the votes are in! And based on everyone’s feedback it looks like we will be attempting to eat real food on a budget of $125/week. It was a surprisingly close race between $125 and $150 and I appreciate everyone who shared their opinion (but especially those who wanted me to have more money to spend! LOL). We have $125/week to buy food for our family of four, which includes my husband, our two daughters (ages 3 and 5), and me of course. This budget will cover our food from Monday through Sunday each week, and if for some strange reason I end up accidentally going over-budget it will be deducted from the following week (yikes!). Eating out: We will have $20/week for eating out and since most fast food restaurants don’t fall under the realm of “real food,” I am estimating that the four of us could eat at a restaurant maybe two or three times a month. I will be tracking and sharing the outcome of this category. Garden Harvest: I already spent about $30 on seeds and plants for the fall, which just about filled up 6 out of our 7 raised garden beds. Any veggies we harvest ourselves will be considered free! Pantry/Freezer Stock: With the exception of meat and seafood (which can obviously be a big expense) we can use any ingredients, pre-made frozen meals, canned goods, or other items that we already own at no charge. I will also make a point to restock some of these items as I go, but I do believe an important part of budgeting is learning to use what you have on-hand! Travel and Entertaining: If we are out of town or entertaining guests we will obviously be under different circumstances. Therefore food that falls under these categories will not be part of our weekly budget nor will it be tracked for the blog. As far as what we can eat…we are going to stick to our original real food “rules” from our first pledge as much as possible, but we will have to the ability to waiver on occasion since the focus this time is on how much we spend. I am not sure what I will end up doing with all of the greens that are not accounted for…maybe give them to my neighbor or just force feed them to my husband? I will do a lot for this new budget, but eating some sort of mustard or other greens on a daily basis is not one of them! Anyway, I also made a grocery list for Earth Fare this morning so I could get what I needed to make these meals, and I set a goal to not spend more than $60. I came up with this number because it would allow me to save $30 for our milk bill (we get 4 gallons delivered every Thursday morning…I know you are wondering how long this will last on our new budget!) and about $30 for the Farmer’s Market on Saturday. Plus it is always good to have a few bucks you haven’t accounted for yet, which unfortunately already came in handy. I did my shopping and stuck to my detailed list, but while I was checking out I seriously had to give the cashier back at least a half a dozen items that I couldn’t afford to buy (mental note: bring calculator next time). After we got through that little embarrassing moment my bill came to $67, which I was okay with. I used to very easily drop $200 or more at Earth Fare so I feel like today was A LOT of progress for me. I had to suppress my desire to impulse shop many times and let me tell you it was not fun! Later in the week I will share the list of what I bought for the $67 and an update on how our little weekly meal plan is going so far! Yay, you’re off to a great start! Since we recently started to actually attempt to budget our groceries as well, I get so excited over weeks where I make something such as a big batch of beans that I can use in several meals over the following days. This week I did my planning so well I even took us to Whole Foods for the few things we needed and I have to admit, getting a few overpriced impulse items was an exciting part of my weekend. Hahaha! Wow, Lisa – so let me get this straight…you guys spend $7.50/gallon of milk delivered to your home? Really? Isn’t there an organic option that is less expensive at your local grocery store? That may afford you to add money back to your food budget. Thanks for the comment Gayle! And yes, you are exactly right it is $7.68 for a gallon of milk. And I plan to do everything in my power to keep it in the budget! That is how good this milk is!! They tell me it is 2 days from the cow and I believe them. We have never had milk this fresh in our lives and my girls LOVE LOVE LOVE it. Last week we ran out of the good milk the day before our next delivery. So I bought some organic milk from our local grocery store. My daughter finished her cup of “good milk” then immediately switched to the grocery store milk and said “I don’t like this” and I hate to say it, but I have to agree with her! For all I know I won’t be able to make it work with spending $30 a week on milk, but we are big milk drinkers around here so I will only give it up as a last resort!!! I don’t know if you have heard of this yet, but there is a dairy, Milk Way Farm, that delivers raw milk to Fort Mill, SC I-77 at exit #90, behind the Red Rocket Fireworks gas station, 3477 U.S. 21 once a week at 2:45. The milk is $6 a gallon. Don’t know what you think about raw milk, but it is the best milk I have ever had. I have a tough time getting there in the middle of the day since my boss doesn’t think as much of raw milk as I do, but it is another option for people in that area. You can’t get raw milk in NC. I have heard of that farm, but we have not had the desire to switch to raw (or make the drive like you mentioned) to get it every week! Actually, 7.50/gal for delivered milk is NOT bad. I pay 7 a gallon for organic milk and that is not delivered. And you’re right, Lisa, fresh milk is awesome! I have had some fresh raw milk, but I also am really happy with the organic brands that my health food store carries. I absolutely can’t stand the flavor of ‘regular’ milk (the 3.50/gal kind). It’s just nasty. I know it’s more than 2 years later, but a gallon of organic milk at the Bellingham, WA Community Coop is almost $10. I would love to get some home delivered for less than that!! Wow, I really commend you on this new challenge! I rarely buy processed foods (just salsa/pasta sauce/canned chillies when I am out of home made), so as you know, budgetting can be challenging when buying real/organic foods. I manage to keep it under $75/wk for my husband and me (we do not have kids). As far as the greens go, you may want to try to add them to soups or beans, as they tend to blend well with these items…especially if you’re not big on those flavors. I found myself with some organic salad that was going to go bad, so I added them to my lentils,saved my produce and had a great addition to my beans. Dining out on a budget can be challenging, but it seems as more restaurants are offering deals on restaurant.com. I bought a $100 GC to a local riverside restaurant for $4.00! The deal was $40.00 for a $100.00 GC, but I got a promotion code good for a specific day that offered a 90% discount…amazing! I got that code from subscribing to http://couponqueeny.blogspot.com/ e-mails. She finds some great deals sometimes! Thanks for the tips Jenniffer! You might want to try to use the greens in smoothies for breakfast or snacks (mixed with milk/ice/fruit/yogurt, etc). Or you could juice them and then freeze the juice. Best of luck. I love reading your blog and hope to implement some of your ideas soon. We also spend $7.50/gallon of milk when it is worked out. We own 1/25th of a cow, however, which is the only legal way to acquire raw milk in Virginia. The great thing about raw milk is the many things you can do with it! I (super easily–less than 10 minutes work each) make cream cheese, yogurt, kefir, butter, and whipped cream. I can, with a bit more work (but no more money!) make mozzarella, ricotta, and hard cheeses, as well. Raw milk also never goes bad (if it does, it’s cheese! ), so that is a huge budget saver for us. I don’t know about the other milk products because I have never tried them, but yogurt and cream cheese can easily be made from pasturized milk as well. And any leftover whey can be used in place of water or milk in a bread recipe. Make sure you pick up the little coupon books at Earth Faire. I’m not lucky enough to have one near me, but my brother is, and I loved browsing there a few weekends ago. Yes, that is a good reminder about those. I just need to figure out when they come out! I agree using the greens in a soup is great. I make a kale and sausage soup which everyone loves and it really is a good way to stretch meat. But Kale isn’t the only green you can use. Do you have the Kale/Sausage soup recipe you can share? I made something similar before, but would not say that everyone loved it! I’m in South Charlotte – who do you get your milk from? What works with almost any green and really is lovely is to saute some minced garlic and dried (or fresh) spicy peppers in olive oil until fragrant. Then add the greens (washed and chopped) and cook until wilted. Right before you serve, toss with fresh parmesian. This is my absolute favorite thing to do with the greens in my CSA, especially the swiss chard. I will have to try that…thank you! I’ve planted a surprising amount (this is my first fall garden too! )…broccoli, cauliflower, spinach, lettuce, kale, collard and other greens, snap peas too, carrots, onions, brussel sprouts, cabbage, and pak choi. A lot! Awesome – thanks! I just did broccoli, spinach, oraganic lettuce, snap peas, radishes and carrots and I’ve still got strawberries growing in my side garden. How do you keep rabbits and squirrels from getting to your plants as they pop up? We are in a neighborhood with houses right behind us so animals are not a big problem here. Have you tried a little fence or maybe some fake birds/owls to scare them off? Super blog! What you’re doing is magnificent! I was excited when I heard you had written about eating real food on a budget, but $125/week? $500/month? That’s a budget? My family’s food budget for the month is less than half of that. :/ We try to spend $200/month for me and my husband and 2 1/2-year-old. My newborn is just breastfed. Do you think we could even attempt to eat fully “real” food for $200/month with our size family? Is $125/week really what families with food stamps get? WOW! That seems like A LOT to me! A family of 4 on food stamps actually gets more than $125/week…I think the number was around $167 a week. Which sounds like a lot to me too! And I let the readers vote so they helped me come up with the dollar amount of $125 for us. I wasn’t tracking my spending before this project, but going down to $125 was a very big cut for us. I think $200/month sounds incredibly challenging, but it may also depend on where you live and your cost of living? You have one less eater than us (for now), but I doubt you could do 100% organic on that amount. Some things to think about are finding deals at farmer’s markets and stores that sell locally grown produce. I know when it is the end of the market hours here the farmers just want to get rid of stuff instead of taking it back home (although the selection can be a little slim at that point). 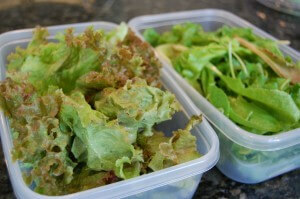 You could also try growing some of your own veggies (even in a small container garden) if you don’t do that already. And you should consider cutting back on meat dishes (to only 1 or 2 times a week) and cut out desserts/extras as much as possible. You should also consider cutting out beverages other than milk and water unless it is a special occasion. I don’t do this (yet), but I’ve also heard that baking your own breads can save a lot of $ too. I hope that helps and good luck! I was thining the same thing about the $125 a week for food stamps seeming like a lot. We have a budget of $150 a week and have to eat only “real” food because I am allergic to just about everything (dairy and modifed corn starch – HFCS, maltodextrin, etc). That $150 also includes all our cat food, litter, cleaning supplies, baggies, stamps, and even clothes. It is tough! I told my husband he was crazy thinking we could do just $150, but we are. We don’t have $ to eat out. Erin, try using only cash and see if you really are only spending about $50 a week. I think you may be surprized to find you are spending more. No, I don’t think you can eat “real” food on that budget; unless you have a garden, a chicken, a cow, and it only counts towards food (not all the other stuff in our grocery budget). Yes, a loaf of cheap white bread might be 1/3 of the cost of a similar whole grain loaf. But if you get your own whole wheat (not flour, but wheat) in bulk (think 25-50# bag), you can not only grind your own (inexpensive hand grinder for $50-60 or find a used one on Craigslist or ebay, or even, if you are desperate a cheap coffee grinder) for bread and tortillas, but you can cook it whole to use in hot cereals, or even potentially as a meat substitute. But looking at amazon, whole wheat is about $1/lb for larger bags… you can probably find it cheaper. I have even seen it from time to time at Wal-Mart. Likewise, a bulk bag of brown rice and one of dried beans will give you a great deal of sustenance for relatively little cost. A lot of poorer hispanic families subsist on rice, beans & tortillas, all of which are ‘real food’. Some mentioned going at the end of the farmer’s market… very true. I’ve done this. Heck, I had a farmer once intend to throw away his ‘demonstration corn’ that he had husked because the kernels had dried out some over the hours of the market. I was able to get it cheaply. I’ve also gotten ‘seconds’ of apples and tomatoes from markets–blemished but still just as good generally. If you can have a couple chickens in your area, they can not only provide you with eggs, they can keep food scraps out of your trash can, and they are a great disposal for any slugs or hornworms you find in your garden. :) Not to mention they are an awesome source of cheap entertainment! They will chase each other when one gets ahold of a choice morsel even if there are lots more available. And watermelon rind…. Never seen something so funny in my life. I have been actively tracking my spending for several months (thanks to Mint.com). While we do not eat solely organic, we have whittled our grocery bill down to about 230-250 per month for our family of four. We do grow a lot of our own veggies, and have chickens for eggs. Doing this saves you a ton of money, and the veggies taste so much better, too. I also make our own bread products, and once you’ve had homemade bread, you’ll never buy the stuff at the store again….absolutely NO comparison at ALL. I’m doing a grocery challenge on my blog right now. Lots of fun to see what other people spend, and how much we can save together. I am a single mom on food stamps. Eating well is very important to me. We get $400 a month in food stamps. I am able to buy lots of healthy and even some organic foods. I make most of my own bread products with wheat I grind myself. I also make myself green smoothie from the veggies scraps (like carrot tops and greens) that would just end up in compost anyway. The biggest challenge is getting local produce, most of our food stores do not carry and farmer’s matkets do not take food stamps. But still I can get organic so that is good. I am grateful for the food stamps and also glad to have found your website. You are incredibly inspiring!! I wish everyone on food stamps was as organized, educated, and creative in the kitchen as you are! Like I said work in progress. The farmer’s market in Bristol, TN is set up to take food stamps and actually, every $1 counts as $2. Might want to contact them and see if they can teach yours how to do it. I love hearing things like this! Way to go!!! Do some investigating on your local farmers markets and food stamps. I manage a market in Va and we not only accept food stamps, we give an extra $10/week in fesh fruits and vegetables for free to food stamp users, no strings attached. Many other markets have similar programs to help food stamp customers get more bang for their buck and increase fruit and vegetable consumption in an at-risk population. Good luck! WOW!!! $125/wk for a family of four!!! I have my husband, 2yr old son, my 4mth old, and myself to feed and I go to the grocery store once a week after planning the next weeks meals off what we have on hand and need to finish the meals and I spend tops $100 and this includes alcohol, cleaning supplies (which I am starting to make on my own), diapers, and paper products. Granted…we get our eggs from our chickens. I only go though a half gallon of milk a week, and we eat a lot of veggies/fruits…the budget will go down as we start getting produce from our veggie garden and fruit trees. I will say I have a 7 year old and 13 year old, both boys, They are always hungry. The amount of food my 7 year old alone eats is as much as my husband used to eat, older boys defanitly eat more. They are both skinny too, so they need the food energy. Becky – me too! I have 3 kids – two 9 year old boys and an 11-year old daughter and we are all protein types – which means we need lots of good quality animal protein and fat to stay healthy. It is so difficult to keep our bill down – 125/week would be impossible due to the animal products and we buy mostly local stuff. Love getting ideas to try though! I just wanted to say what a inspiration you are! And how much help your website is to me and my family:) One thing I was using before (and still use) I found your site and it is sort of funny. Is a set of cook books my grandmother gave me (I am a history Major so anything history related my grandmother likes to get me) they are recipes from the great depression. I know sounds odd but back then real food was all their food, LOL and they did so much with so little!! They have some great recipes and the stories remind me how lucky I am to have the budget I have to stick to;) For a family of 6 we usually can spend around $400 a month but that is not all organic (we get organic what we can afford). Thanks so much for the nice comment! And how lucky are you to have such a cool collection of cookbooks. Next time I see a used bookstore I will have to see if I can find some as well. I love this. It is so inspiring, as I have just started to read about how bad some things we eat are for us. I had always thought, for the most part that we were eating semi- healthy:), but now I see there are so many changes that need to be made. I recently read the book, Shoppers Guide to Healthy Living by Kathy Loidolt. It is so full of good information. I was wondering, I know that household things arent in the budget, but what types of those things do you use? Shampoo, dish soap, and cleaning supplies? Since so many contain harsh chemicals, it is hard to decide what brands are best for the budget. Thanks for your email! Our household transition is still happening as we speak. So far I’ve gotten rid of all the toxic cleaning supplies…we’ve switched to some of the all natural brands available at Earth Fare. I’ve also started using “Organix” shampoo and conditioner and switched my girls to Aveeno, which is a little better than some of the others. We’ve also cut out deet bug sprays and started using Alba Botanica sunblock. We still have more changes to make, but we are doing what we can in the household department! Loving you site with all this fabulous information and ways to make our lives better. We try to budget our household of 6. We buy organics as much as possible and are thinking about getting a few chickens for eggs. All our household products are homemade as well as shampoos and soaps. I was reading up and Aveeno is a Johnson and Johnson product with formaldehyde contents. We follow “anything on the skin is just like eating it” since it soaks into your skin. I bet you could really get your monthly costs down if you gave making your own a try. I do sometimes miss the “floral scents” of products but it is give and take. How do you make your own household products, shampoos, soaps, etc.? I am interested in making my own but am not sure where to start. 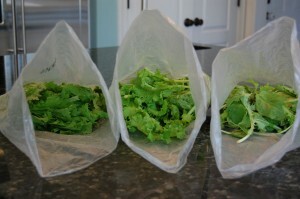 Try making home made “vitamins” with your extra greens. Chop onion and add minced or pressed garlic, saute in olive oil until soft. Add your greens, cook cook cook until soft. Add everything to a blender. Strain through a wire strainer (a few species have odd fibers), pour into ice cube trays. When frozen take out and store in freezer. Add a cube to your morning scrambled eggs, add it to whatever you wish, adds little to no flavor, but adds excellent vitamins and minerals. An easy way to get your greens. I learned this from a cardiologist who was sick of how modern medicine was going and became a teacher of sorts. I’m going to read each of your entries for your 100 days on a budget, hoping to learn a few tricks and tips. Thanks for the info. Wow – $125 and not even including dinner out or if mates are over. I also have a husband and two children and we have $95 a week to pay for all our food. We also have to pay for our gas and electricity every week from that and that takes a good $30 from it. If we have friends over we just have to make it work with what little we have and we can’t afford to eat out or go out. If we have days out it’s free days to museums with a packed lunch. On top of all that you only count your food. Not things like shampoo or sundries. That has to be paid for with the tiny budget we have. I understand what you are trying to do but tbh you aren’t getting by on little at all. You have plenty of luxury as you still spend on nights out etc. Alot more than many of us family folk! Hi. I live in san Diego, CA & I am very interested in trying the milk you have delivered to your home. How would I go about finding out to do the same? I found it by googling “milk delivery matthews, nc” …hope that helps! Kyndra: Claravale Dairy comes twice a month down to San Diego from the Central California Coast and they have raw Jersey cow and raw goat’s milk. The next time they will be at Hillcrest Farmers’ Market and distribute to a couple stores, including Ocean Beach People’s Organic Food Market will be the weekend of March 10. Your order can be emailed to us. If have questions, let us know. We feel that having at least your meats on hand at home is the most economical and easiest way to prepare. Personally, we haven’t bought store meats in over 3 years. I make most of our breads and get those items from The GRAIN Loft, they also deliver to Ft Mill. We get our milk from Milky Way Farms, they too deliver to Ft Mill. I also make our laundry detergent, and plan on making our auto dish detergent. We have 3 kids, and farming is all we do. We have found that for us, if we can just go to the store every 2-3 weeks, it saves a lot of time and money not driving to the store each week. Depending on how you can buy your items, you don’t always have to pay sales tax either! Ok, thank you. I Googled Milk Delivery San Diego, CA & found this one website that says no minimum order, no contract & no delivery fee….so I am hoping its what I am looking for. They have milk & they call it Organic Milk….now thats not the same right? Sounds like a good option…just make sure their cows are grass-fed. This is what their site says about their various diary products they sell including milk, please tell me what you think…..Certified organic dairy products come from animals that are given no antibiotics or growth hormones and are fed a 100% certified organic diet produced on lands untreated with synthetic fertilizers, pesticides, herbicides or fungicides. The farm on which the herd is pastured must be certified organic as well. Sounds like a good choice then! Raw milk is illegal here in N.C. so it’s not an option for us. oh, ok I see. Its still legal here in CA but having a lot of recall issues the past 6 months or so & 2 so far this 2012 year. I was just reading about it :( Well thank you for always responding to my comments & questions, I appreciate! Thanks so much for all you do. I just found the website and definitely will be trying a lot of the recipes. I am starting to cut out all processed foods from our diet but it will be gradual since we can afford to throw out what’s already in the pantry. Unfortunately our budget is about half of yours but we’ll see how it goes. We receive food stamps but it’s only $288 a month for my family of four. The higher numbers must be for non employed families. At any rate thanks so much I’m hoping that the dietary change will help with my husbands anxiety/ depression. Yes, the higher number is for families who receive no other assistance/income at all. Wishing you the very best of luck…many people do this cheaper than me so I am sure it can be done! Stumbled upon the website last night. Looking forward to reading more. Need all the help I can get. I was reading about your milk did you know that humans are the only species that drink milk beyond infancy from another species!…if you read pH Miracle book by Robert O. Young PhD. he explains how milk in the body and what it’s effects have on humans….a very good book to read….the true art of eating clean…no meat, no eggs, no milk….www.phmiracleliving.com/ …I switched to almond milk and coconut milk. Did you know that humans are also the only species that cook their food, use utensils frequently and wear clothes? Sorry, that argument just isn’t realistic. $125 a week is totally doable and actually easy if you know how to cook. If you don’t,….. learn! The meals go up in price if you don’t know how to “wing” it! If you can’t cook, find 7 recipes and learn how to cook them well and then start to branch out. If you have a brown rice and any veggie, you have dinner! What is eaten for breakfast and lunch during the day? $500/mo for food seems quite high! That said, I still plan on cutting out as much processed food as possible, though we might not be able to do the higher priced meats – that is not to say I won’t do serious research on this! We do already save a lot by visiting farmer’s markets (which we need to find a winter weather market if there is one nearby). I’m going to attempt to be as process free as possible for probably half that to start (250) this year… and next year I’m planning on planting a garden with some of the things we buy a lot that will alleviate the costs. Hopefully it’ll all work out and we can use the money we save on produce for better quality meats! One thing at a time… first out, junkfood, sugary cereals and any storebought treats! I struggle to spend within my 300/week budget for my family of 8. I cannot remember the last time I stayed within budget, actually. We do not buy cereal, sweets, and have a nearly dairy free household. I am enjoying the tips here… Hoping I will strike that one nugget of gold that will keep me within budget! My main struggle is with dairy allergies and GF dietary needs. I would also much rather feed nutritious food to my strong, growing,active children than have the latest cell phones or cable tv… but would love to find ways to have even more wonderful foods in the house. $125 for a whole week is not bad at all, I spend almost double that for only 3 people. I def have to budget better. I have about $200 to spend on food for a two week period for three. How can you accomplish this kind of meal planning on a $30-$60 a week budget for 2 soon to be 3 couple, which includes milk and paper and cleaning products? Shannon-Thank you for listing everything you do for your food budget! It helps me a ton with the ideas! Would you be willing to share what city you live in? I’m interested in the name of the CSA you buy your meat from as well as the place you get your milk and chicken. I don’t suppose, Shannon, you’d share your cream soup recipe? I only saw Monday thru Friday included in your budget and meal planning – what about Saturday and Sunday? Ok so I see your budget was for $125 per week and that was 2010, are you still at that same budget, since our food prices have gone up quite a bit over 3 years? so just wondering if this is still doable or if we need to readjust? I just came upon your blog. I am in my senior years and live alone. I just stumbled upon this blog and I am so impressed!!! I am for sure going to do the 10 day challenge, and I haven’t decided about the 100-day official challenge, but I’ve been trying to stick to a $150/week budget with the same sort of plan for a family of 4 also, for the past few months and have found it next to impossible (especially with a son who has gluten and dairy allergies)! This blog has given me a new hope that we can do it. And with recipes and new ideas, I am excited to give it a try! Thank you! We are currently working on a $150 budget per week which includes household items and pet food,cigarettes, alcohol, etc. That doesn’t count the kids lunches at school and I get part of my meals at work for free. We don’t yet follow all the rules, but we’ve cut back on soda and almost eliminated snack items. I’ve increased my veggies and fruits so mission accomplished, sending hubby with a fruit daily and serving 2 veggies at most dinners. So we have made a good start. My biggest struggle will be removing the white breads…son is addicted and reducing meat…son is allergic to nuts so how do we keep calorie count high enough? Hmmm..still thinking this out. But I think $125 a week is still very manageable. Several of you have mentioned CSAs – wondering if you think those are the best bang for your buck to get organic produce. Obviously they do a great job getting things in season, but sometimes we feel there is waste because some objects are harder to use. One tip for Lisa about greens she hates to use up – juice them! I am wanting to take the challenge. I already do a lot of your suggestions. What I am concerned about is the food budget. I try to keep our food expense to 75 a week for a family of 4. Can you offer some suggestions. Ok, so I already follow a LOT of the rules, feed my family lots of fruits and vegetables,etc. but how do I have my morning coffee without sugar?? And, what’s your view on alcohol? Where do you get your milk delivered from and what kind do you use? Is there a place to order organic meat and bison from? We don’t have any stores around the area that offer this. Hi, does the budget include all breakfast, lunches AND dinners for a family of 4? I can’t seem to pull it off with a family of 3 and have it include all 3 daily meals (plus snacks). Where do you get your milk from? I noticed you had it delivered weekly. We recently moved to Charlotte from Nashville and finding local milk has been a struggle for us. Any tips would be great! Thanks. I have a family of 4 and provide 3 meals per day plus snacks. I cannot seem to come remotely close to this budget. Suggestions please!! I feel it is important to eat whole, organic and nutritious food. And local when possible. At this point in our life, if we want food, we need to buy it. (our goal is to someday soon be able to grow most of our food including meat and milk) And quality food is expensive. $125/week is a low number to budget for a family of four. From experience it can be done tho! We have gone through points in our life where we have eaten a lot of dried organic turtle beans for protein instead of the desired roast. I feel sad that Americans spend so little of their disposable income on food. Maybe the key is a budget on all expenses, not just groceries? But I guess it all comes to priorities :) Thank you for your blog! I enjoy it daily! I use your site a lot for snacks for my kids. You are not going to be able to buy meat at $125 per week. I would suggest you up your food budget a bit. We eat one vegetarian meal a week to save. The thing that will keep your family fuller longer is protein (meat, eggs and cheese). I am a Paleo diet fan. You could make some dishes with eggs like quiche and frittata’s to use your greens up. Thanks for all the great recipes you post! Some things that I do to budget and still eat majority of organic products is that I will buy whole organic chicken or if I can’t find it I will get free-range or as healthy as I can find. That turns into about 3 meals. I will roast the chicken for dinner, use leftover meat to make chicken salad sandwiches, then I use the bones for stock for soups as well as boiling veggies to add flavor. When I buy organic beef, I try to only use half a pound and fill with more veggies per meal. I noticed that we didn’t miss the extra meat and that saves money as well. We try to have at least 1 fresh piece of fish a week (the really good expensive kind-wild caught) and then 2 other nights I will make the already frozen kind that costs a lot less. I always check the market to see what fresh fish is on sale and choose that one. I try to buy all of my fruits and veggies organic and I start at the least expensive store (usually Walmart) to see what they have, where it came from, and how good it looks, then I work my way up to the most expensive (i.e. Whole Foods) that way I buy the fewest things there. Our budget is approximately $125-$150 per week for family of 3 and 3 dogs and that includes all our house cleaning products, toiletry, and I usually make my husband a lunch for work. Budgeting is difficult, but the more you plan, the easier it is. We ditto what amanda says above. Our household budget is $150/wk for a family of 4 and this includes household items as well. My hubby and I have a separate allowance for ourselves also for lunches out or coffee. I also give myself incentives to stay on point. ie, any savings each week goes into my shopping fund or nails/hair fund. We buy organic as much as possible and always search the store ads for what is on sale that week. I plan my meals around that. We also have a leftovers night every week if hubby doesn’t take for lunch. Amazing what you can create when forced to use what is in the cupboard…..soup anyone? We spend $150 on food PER MONTH for our family of 3 (going on 4) and are still able to eat most all real food. But once a year we do go in with family to butcher hogs and that helps a lot with our meet. But other wise, making your own bread, condiments, etc. is the key. And not buying convenience snacks helps too. Now we have not been able to go organic, but we do our best with what we can get. So a tight budget while eating healthy IS possible! Our budget is $50 per week and includes “meat” and eggs because we raise free range chickens. We buy them corn $10 for a 50 lb bag every so often. We use some food type items for cleaning and shampoo and make our own laundry soap. Have a garden, nut trees and fruit trees.. so many pears, apples, tomatoes and hazelnuts, and too little time. There are berries of all sorts on my property and in the woods collected for snacks. We collect acorns and process those into acorn burgers. I love butternut squash and have bushels of it. Even our water is filter from our own well. Sometimes we’ll get steak or hamburger on sale and we are looking into fishing as an additional protein source. I am coming to the conclusion that I am terrible went it comes to budgeting, we eat mostly organic food and 80% vegetarian and I have a very dificul time not spending more than $150 a week just for the two of us. This is starting to worry me because I and expecting our first baby I and not able to work and will not go back to work till next year on September. I want to help my husband, by helping save but I haven’t been able to do any mallor improvement to my spending, I will continue to try. Last week he give a pressure cooker to help my save time and energy went I cook beans and lentil and it really help me and give me encouragemente to continue to work hard for our family’s well been, I and learning to used it am really love it food is coming out super delicious and healthy. Ok just wanted to thank you for all your wonderful posts it is helping me a lot and I am sure is helping many others. ðŸ’šðŸ˜ƒ I will be posting my recipes on Facebook soon. We are retired on a fixed income and up until a year ago my budget was $50 a week for both of us. When I found I had the beginnings of diabetes, I upped our budget by $20 a week to allow for considerably more meat and protein. I do not separate out non-food items and occasionally buy a bottle of wine. I do can and freeze when I can find things priced to make it cost effective. So currently I have canned green beans, pumpkin and chili beans, frozen corn and broccoli, and enough meat for approx. 2 months. Our meat comes from a reputable butcher. 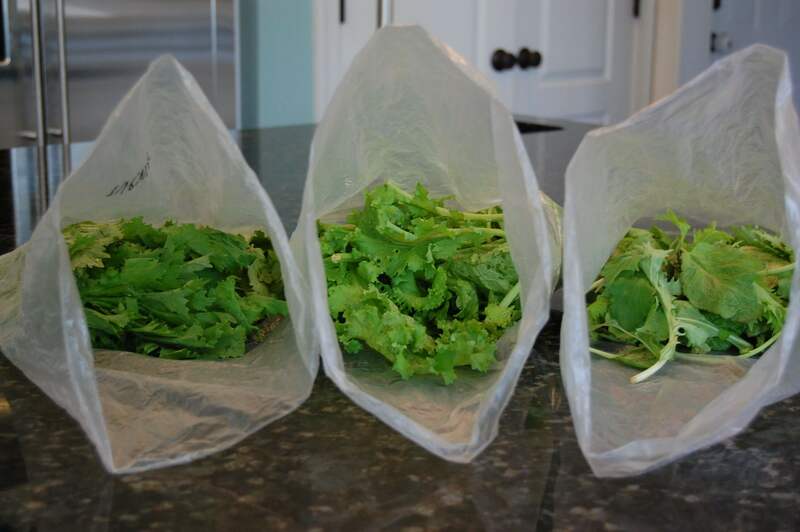 I only shop once a month with a pick-up trip for salad greens. My idea of processed food is a loaf of French bread, or bottle of salad dressing. Mostly I buy real food. For example: 1 bag of pinto beans (2#) makes 8 or 9 pints of chili beans with garlic and bulk chili powder and sea salt at a cost of about .25! Every meal I fix is one of our favorites! We eat eggs and bacon or sausage every morning. I love the order and control of budgeting. So what if I don’t have a family and it’s just me? Would the budget and everything be different for me do you think? I’d like to start this with my family of five. Two older large boys, one large adult male, one small adult female and one short/too-skinny girl who can pack away food. First, my daughter has to have high calorie foods. She’s always been underweight. 3% in weight currently and that is high for her. Her first five year she was considered not thriving, because we could not get her to gain (even with adding heavy whipping cream and other high calorie stuff to her food). Second, my boys and husband have the opposite issue. They are over weight. I’m kind of on the fence. Could loose 2-5 pounds. Third, my kids like things like spinach, broccoli, other greens, salads, sweet potatoes over white, whole-wheat breads…healthy foods. They also like sweets (not so good). My husband hates greens and most fruits. The only fruits he does like, he can’t eat. One makes him vomit each time (Bananas) the other, apples causes acid reflex. Plus, he likes bread. He will eat whole wheat, but he loves bread. He also loves meat and white potatoes. He refuses to eat sweet potatoes. Any ideas to help out my family. – I would start by trying to get rid of all the empty calories you can in the diets of your kids, including your daughter, as sugar can cause nutrition problems for skinny kids too. So, refuse to buy soda, period, and implement water as the go-to drink, ration the candy wherever possible, etc. What your husband eats and drinks is basically his responsibility, but get him to stash it away and keep it off-limits for the kids if it’s sugary, and insist at the very least on no sodas at mealtimes. Probably you already do. I would keep the juice consumption very moderate as well. It’s too expensive anyway, right? – make sure your daughter has her own stash of dates, raisins, figs, nuts, seeds, peanut butter, wheat crackers, solid coconut oil to spoon out a bit at a time, energy bars with a good ingredient list or whatever densely nutritious snacks the two of you can agree on, and keep them in a box with her name on it, off limits to the boys. Fudge made by melting and stirring together equal parts peanut butter, coconut oil, molasses and seeds or nuts is quite delicious (Has to be kept in the fridge). It is her private supply, off limits to the rest of the family! You probably already do this as well. – Meat and potatoes meals are really not a terrible starting point, just add all the veg you can get away with, whether its as cooked vegetables or veggie platters with a dip made of salted sour cream (personal favorite of mine), pureed soups, etc. I think increasingly, we’ve seen advice from various nutrition and diet sources lately that fats on cooked vegetables are fine, sugar is not, so take that advice and run with it, because vegetables slowly braised in butter, or green beans cooked to almost-done, then sauteed in some bacon fat (for instance), can be soooo yummy, maybe even your husband will convert. This is real food that fills you up, makes you happy, and keeps you from needing to snack. But if your husband doesn’t come round, don’t forget he’s a grown man and can make his own choices. Your priority is keeping your kids healthy. Hope there’s something in there that helps! I am super excited to start this challenge starting today! My husband and I are looking over the meal plans as we speak and planning a grocery trip. This is exactly what I was looking for and already told all my friends and family. Thank you so much! Plan – to pay your mortgage off in 4 years. How, if you don’t mind me asking. I have similar issues with my 6 year old twins and 3 year old singleton rejecting many vegetables I put before them. I make meals and separate out some of the ingredients along they way as my “back up” to them rejecting the final dinner. For example, a meal containing chicken, pasta, vegetables & a sauce. Everyone gets the final meal, but should they REALLY not eat it I will offer them some of the items separately. It’s a lot less stress and allows me to still put new dishes in front of them to try. I hope that helps. Hello! I love reading your posts but I have a question. I’m 24 and only have to worry about myself. I am curious how much you think I should budget for food a week? how do you help sugar cravings? Yes indeed. I am in 10th day of this and the sweet cravings are strong. I m curious, while cutting and changing habits(for the better) has anyone lost weight in the process? Is this 100 days on a budget in the book? If so I may buy a copy so it’s easier to read all in one place. I appreciate what you are trying to do here, but for a low income person on a budget $125 a week for groceries is unrealistic. We are a family of four and we have a budget of $70 a week for groceries. And like most families, our grocery budget includes all the items you choose not to include in your budget. We rely on eating real foods because you have to when your budget is so tight. I love your recipes and think that you are setting a great example. I just don’t see how it would be difficult to spend only $125 a week on groceries alone. Hi Kristi, I come from the other end of the spectrum in that I thought th at $125 was unthinkable for real food for a family of 4 for a week.. I guess it all depends on the prices of food in your area and if you are including lunches and breakfasts as well.. As a family of 4 I am trying to eat and prepare more wisely and my budget has actully grown but we are feeling much better and spending less money on takeout/medications/etc…. It is just myself and with my SS, I get $70 a month for groc. I do not usually eat a lot of processed foods no do I eat out, maybe once every 2 or 3 months. Could use a little help with what to make on that kind of budget. Thanks in advance. or and I do not have cable, buy clothes, and use dial up for my internet. Do you have any examples of how this might work with a gluten-free budget? 3 out of the 4 are also soy & dairy free, and 1 is corn free. Hi BK. Not sure what you mean by examples? But, we have plenty of readers with various allergies and sensitivities who make the rules and the shopping work for them. It shouldn’t effect the bottom line too much but I acknowledge that it adds a whole other level of difficulty to shopping and cooking. :) I shop/cook gluten and dairy free for myself but not for the rest of my family. I am very disappointed! I was sent to your site by a friend and I had high hopes that this would really help, but unfortunately, it did not. All of the rules you have listed are ridiculous. First of all, a family of four on 167 dollars a week in food stamps means the household income is less than 11,000 dollars A YEAR. There is no such thing as eating out, entertaining, traveling, or alcohol. Furthermore, not many people on a budget, especially inner-city, especially low-income and poorly educated about health, would have anything akin to a garden! I do not know anyone on food stamps in a tiny apartment that has room for 7 RAISED GARDEN BEDS. This is a terrible starting place for anyone impoverished. Contrary to popular belief, my family does not have food stamps because I spend it on booze and fast food! Raising my own vegetables is limited to buckets in and around my home. Please see the true obstacles to health and help others like myself to find new ways to feed our families the nutritious food we deserve! With so much confusing information as to what is and is not healthy it is just depressing that places of counsel such as this are truly ignorant to the ways of the world. Please also offer substitutes in the future for healthy foods and recipes from places like Wal-Mart. Whole foods stores are fantastic, but the nearest one to me is a two hour drive and the gas money is almost a waste after the food spoils in 4 days! I will be looking forward to more useful budgeting ideas in the future. Hi. I have a family of four and we live on one income. We do not have food stamps but we only have 100-120$ a week left over for food after we pay all our neccissry bills. They only way I have found to make this doable is price match at walmart. That way I always get the best deals at the lowest prices. I also only buy stuff at the lowest price. I won’t buy broccoli if it’s over 1.99$ a pound, apples over .99$ a pound and peppers over 1$ per pepper. I have slowly learned what prices I will spend my money on. I meal plan around the sales. Good luck! On and if you download an app called flipp it has all the flyers in your area so you can price match easier. I applaud your bravery and honesty in coming forward to represent those who face real challenges to eating healthy. I am in a similar boat and am currently at the “How will I ever make this work?” stage. I don’t know about anyone else’s state, but my family of 6 only receives $300 a month in food assistance. That’s nowhere near $167 per week. I also have a family with a wide range of ages and I worry about meeting their caloric needs while serving food that they will probably not eat (nor would I, quite frankly). We eat bread, we eat meat and we don’t drink. For my family and myself, I am choosing to start with adding more whole foods, as much as possible, and lowering the amount of processed foods that we consume. I think that’s the overall point of the blog, whether the budget and recipes are relevant or not. First, she didn’t write this to offend you. Second, the chosen budget was based on collective feedback from readers. Third, everyone lives in a different environment under different circumstances, and this experiment was based on the author’s environment, not your’s. Take what applies to you, and modify where you can. If it doesn’t apply to your situation, that’s because it wasn’t written for your situation. The food choices would obviously have been different if her experiment was done within different boundaries. Just because you live in the city dosen’t mean you can’t have a garden. I found this company that offers a tower garden, you can grow your own fruits and vegetables with limited space. So many benefits including saving money and working with a limited space not to mention you don’t get all those nasty pesticides that the imported fruits and vegetables come with!! Check it out, you will be happy you did! I know exactly what this is without even having to click. These are great, and this is a great idea… but they are around 500 dollars each. Unfortunately, that makes them far from a realistic option for pretty much anyone in the US living on 11k a year. My daughter and her husband have been using these tips, and cooking from the 100 Days of Real Food cookbook for almost 2 years, and have benefitted greatly from it. They sit down weekly and make their grocery list for the week. They set their weekly budget for the 3 of them (1 daughter) and don’t very often go over that budget. I was with staying wth them for 2 months and watched as they worked their “magic” with their one income budget. I was not only amazed but also inspired to the point that I bought the book and am now using it in Scotland where I live. My daughter admitted it wasn’t easy to get started but once they did it was easier to follow the ‘rules’ and eat well than just shop for what ever they thought they wanted. There is hardly any food waste in their house as opposed to before when things they thought they wanted and then decided they didn’t went back and had to be thrown away. She said they feel healthier and working on a budget isn’t as hard as she thought it would be. Thank you for all the information! WalMart does not always have the best produce, but it is really the only store we can afford and it is definitely because of the price match! I would love to live in an area someday where I can grow my own food. Living closer to a whole foods store would be fantastic, but moving to either just is not feasible right now. I did just recently find a farmer’s market 25 minutes from us that accepts food stamps! To anyone reading who is also struggling in this way be sure to check your area for something similar! Thanks again for your kindness and wisdom, Camille! Blessings! This was so helpful! I could not be happier about leaving my initial comment. Honestly, it scared me to share my situation on a public forum because of so many trolls and devil’s advocates on the web. It is so nice to have replies from truly helpful people like yourself! Thank you very much! with average or low income can hope to shop there. I am saddened when I see what some people put into their shopping cart. Purified water? instead of Spring water is one example. They both cost the same., the purified being right out of a tap and put through a few filters. White bread, Twinkies, Pepsi (diet with the poison aspartame)..on and on. Wish everyone well no matter what the heck they put in their cart. I have been over the last few months eliminating processed food from our home. When I received your book, I was so excited to try everything in there. We are a gluten free household so I have had to adapt but meat is a staple in our household. Most of your recipes seem to be veggie based. Hubby does not eat veggies with the exception of a salad and a couple other veggies he will eat 2 bites of. How in the world do I make this work? I came here to find ideas to eat healthy on a budget, and while your pledge comes closest its another false reality for most people. I can not plant a garden, even if I had time and space to do so, and since veggies and fruits are a huge budget eating cost in healthy eating, your counting grown veggies as free severely makes this challenge far from budget friendly for the average family who doesnt even have access to the other things not included in your budget. I would love to see you do this again without including garden grown veggies as “free” especially since your meals typically call for less meat and more veg. I don’t understand all the comments regarding how the blog should be done differently: different budget, no garden, gluten free, less veggies. The author is simply sharing her family’s experience and experiment. Take what applies to you/your situation if you like. You can also start a blog of your experiences. Hear hear…that is right. Read and learn or read and go on. I started the challenge of eating real food about 1 month ago or maybe more after I noticed all the ingredients my little frozen meal had when I took a bite of what it was supposed to be a chicken taco. Let me tell you, chicken was not in the list of ingredients. Anyways, i love it. Eating whole and organic makes me feel healthier, my kids who are also 3 and 5 love it, their only complain is when they eat a new vegetable they don’t know. But they love the whole wheat waffles and the brown rice, and the milk…OMG the milk in the glass container from earth fare is the best. Where do you get your milk delivered from? I have not made it possible to spend less than almost $200 every week I go. I follow the meals and the shopping list I got from the email, but all of those prices are wrong. Everything is off.. maybe you should re-evaluate the prices on the shopping list. I know it must be from when you started but it needs an update. I make my own adjustments according to my budget and what we like to eat but I cook most of the items from the meal plans. Oh, and I am so glad I did it. Some people should re-adjust their priorities for the best if their health and family and stop complaining. I rather make my own manicure and pedicure and leave that money to spend it on real food , I make my own hair and save a ton of money on that. If it doesn’t work for you, just don’t do it and period. Does this include a co op food budget or is that separate? I buy milk, ground meat and carrots at out food co op, as it is cheaper, yet buying two gallons of milk, four pounds of meat and two pounds of carrots is around $47. That lasts two weeks usually. I don’t know what snap would be for us. by using $200 a week, we are just scraping by, that’s real food, with little extra (popcorn, some chocolate chips for home made cookies maybe, real tea), and i have people tell me that’s too much money to spend on groceries. I have no idea how to get the cost lower. We do not have a garden so purchase our produce on sale or at the farm stand. We have four or five in our family pending work travel. Hi there. Lisa does not use a food co op. Me? Milk is almost $9 a gallon, not 4. If I buy milk at the store it’s $4-5 a gallon, for organic milk. Ground meat is $6 1# at the co op or $8 at the store, for grass fed beef. Carrots are hit or miss if on sale at the store. Chicken is $6-8 for the whole chicken, not organic, and depending on size is what I can get out of it, say chicken and rice after a roast or enough meat left for substantial chicken soup. A small chicken at $5 and I basically only have enough for one meal and to make broth. Have decided to try this. I have a teenage son who has adhd. Medication is not working for him. Dtr. suggested changing his diet. We have 3 family members and after bills only have $300. Good option our school district offers whole wheat bread options salads wraps etc. So after talking w my son he is confident he can eat school lunch and breakfast. It also helps i work in the kitchen of one of the hs. I know what is in everything. It is also a plus that we can eat for free breakfast and lunch. I feel fairly positive that we can do this on our $300 budget. I am currently feeding my family of 10 on $95 a week to meet a pay-off-debts goal. My usual budget is $150, so I am definitely feeling the pinch. I cook everything from scratch, buy on sale and freeze for later (meats, butter, frozen veggies), and we go through 8-10 gallons of milk a week. Yikes! I also bottle a bunch of free food in the summer (this year I was given apricots, peaches, tomatoes, and green beans). What we don’t do–buy organic, eat much meat, go out to eat. I would also really like to know how you do this as well. We are living with in laws at the moment due to some financial crisis and there are 10 of us in the house. We are spending close to $1000 a month on food. I am the one that prepares the most meals so I would find this extremely interesting! My budget is 150/MONTH for my family of 4 plus my grandma.. This is not a reality of a budget friendly meal plan for most families. I do use mostly whole foods and zero waste as well. Quite ridiculous. I would love to hear how you manage to feed so many on $150/month! That is amazing. That is truly amazing! I would like to know what you do also. Thank you. This looks like only dinner. What about packed lunches and breakfast? I am spending wayyy more than this but I include breakfast and dinner foods. Would love to see what they eat for those meals. Hi there. These posts will give you a complete picture: https://www.100daysofrealfood.com/?s=a++week++with++the++leakes.